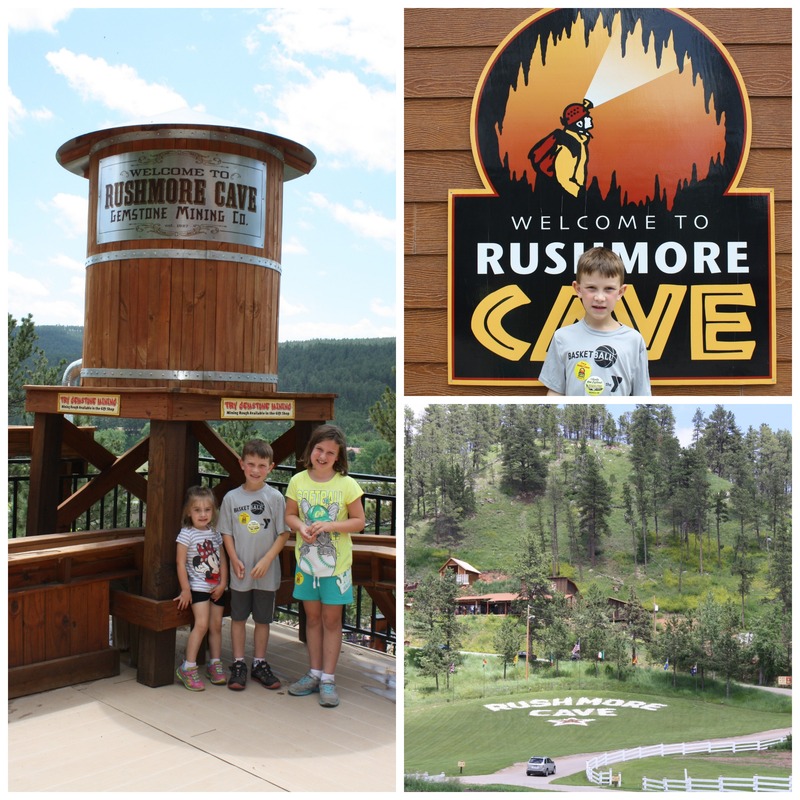 On our road trip out west, we had the pleasure of being guests at Rushmore Cave in Keystone, South Dakota. Although we were guests, all thoughts are my own. After visiting Mount Rushmore in the morning and having a picnic lunch, we made the short drive to Rushmore Cave, which is just outside of Keystone. When we arrived, everything looked very nice and clean. 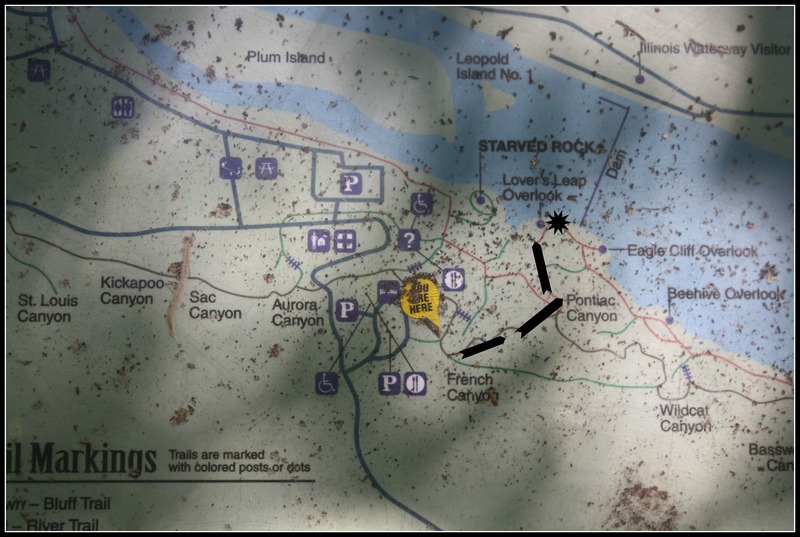 It was easy to see where to buy tickets and check in for the cave tour. We went on our tour with Mason. He was very enthusiastic about caves and made the tour interesting for all ages. Mason gave a nice history of the cave, answered questions, and threw in a few jokes. He talked about cave preservation and not touching the walls, which Cara took very seriously. That is why she is crossing her arms! The cave tour was lots of fun and educational, too. The kids, Derek, and I really enjoyed it. After the cave tour, Abby and Cade got to go on the Soaring Eagle Zipline. Cara wasn’t quite tall enough, which she wasn’t very happy about…but safety first! I think Cade was a little nervous at first, but they loved it! After a visit to the gift shop, our visit was complete. 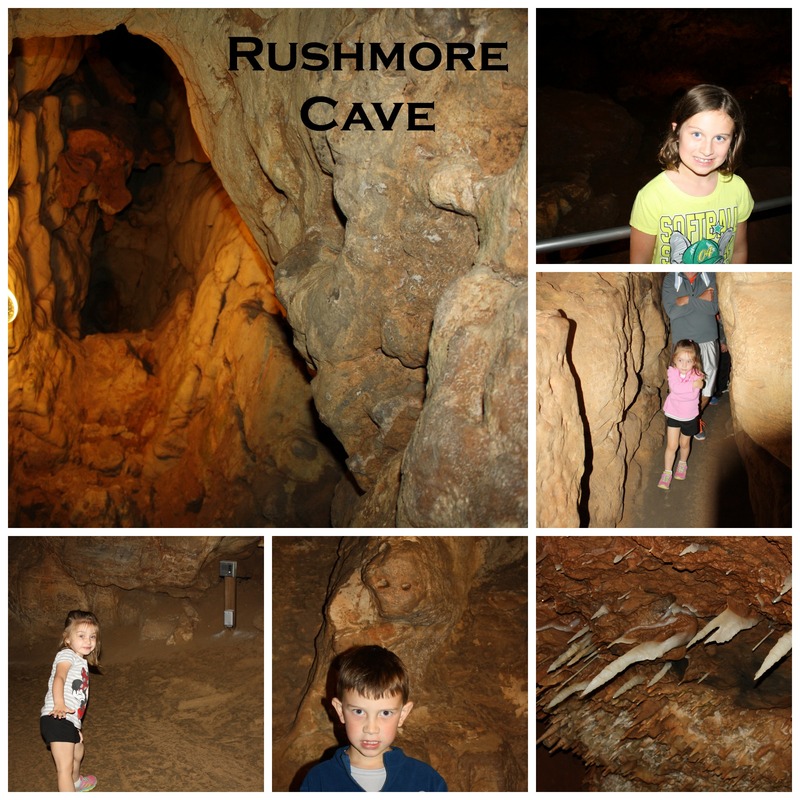 Rushmore Cave also offers a Gunslinger 7-D Interactive Ride and panning for gold. I would highly recommend a visit if you are in the Keystone area. It helped complete the day with our visit to Mount Rushmore.